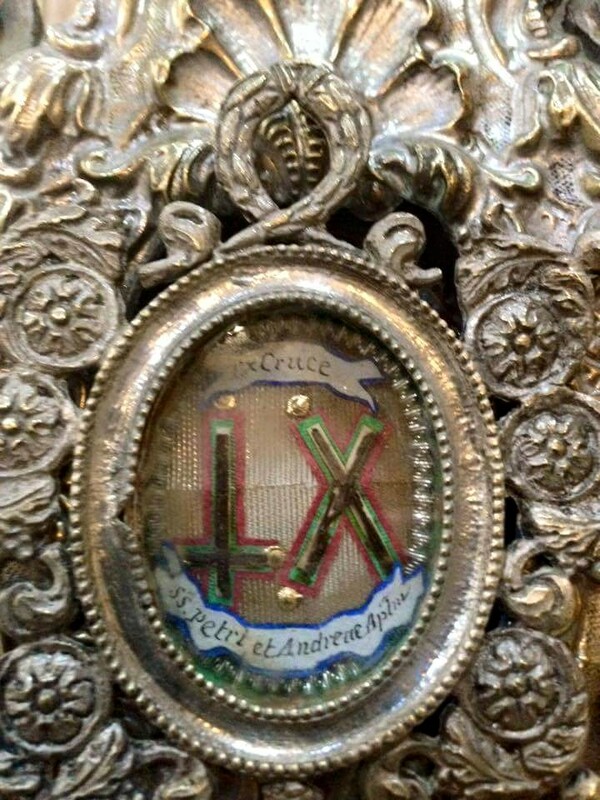 For the feast of St Andrew, here is a picture of a wonderful reliquary containing some of the wood of both his cross and that of his brother, St Peter. Both sets of pieces are arranged in the shape of the crosses on which the two Apostles died, Andrew’s an X, and Peter’s like that of the Lord, but upside-down. This photograph was taken by Dom Jakobus of Herzogenburg Abbey in Austria, a house of the Order of Canons Regular of St Augustine, and is reproduced here with his kind permission. Dom Jakobus also maintains a facebook page about the Order, (under their Latin title, “Ordo Canonicorum Regularium Sancti Augustini”), with lots of information about the various orders and houses of Augustinian Canons Regular, and many interesting pictures, both modern and historical, of the canons and their liturgies. 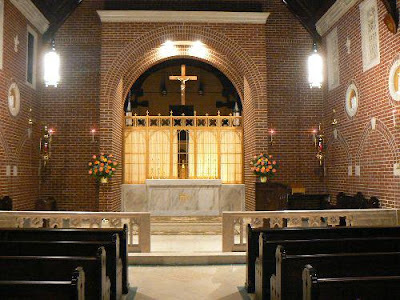 We have much work to do in the rebuilding of Catholic culture, and in this “slow evangelization” (as Stratford Caldecott called it), liturgy can be compared to the right hand, the fine arts to the left hand. 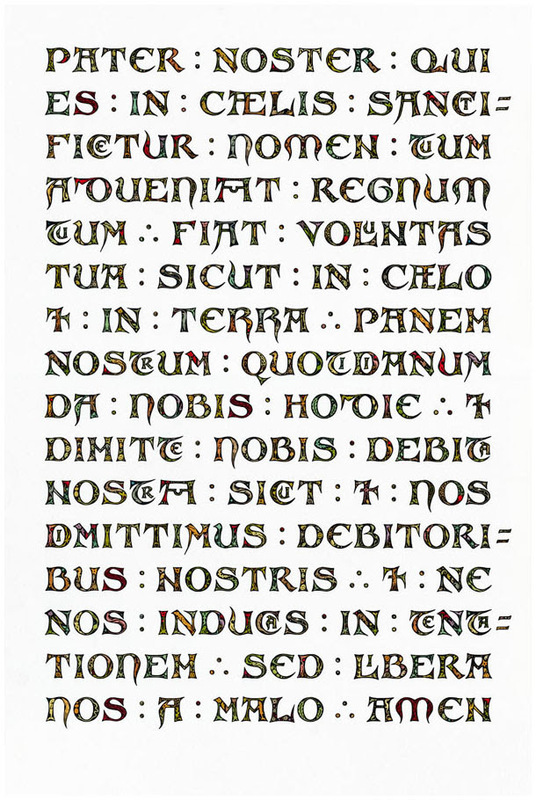 I found myself thinking about this when looking at some magnificent calligraphic work by well-known Catholic artist Daniel Mitsui, and reading his superb lecture at the Franciscan University of Steubenville, “Invention and Exaltation.” (The text may be read here; a video of the lecture is available here. Highly recommended.) Daniel visited the university to open an exhibit of his artwork in the Gentile Gallery on September 14th. 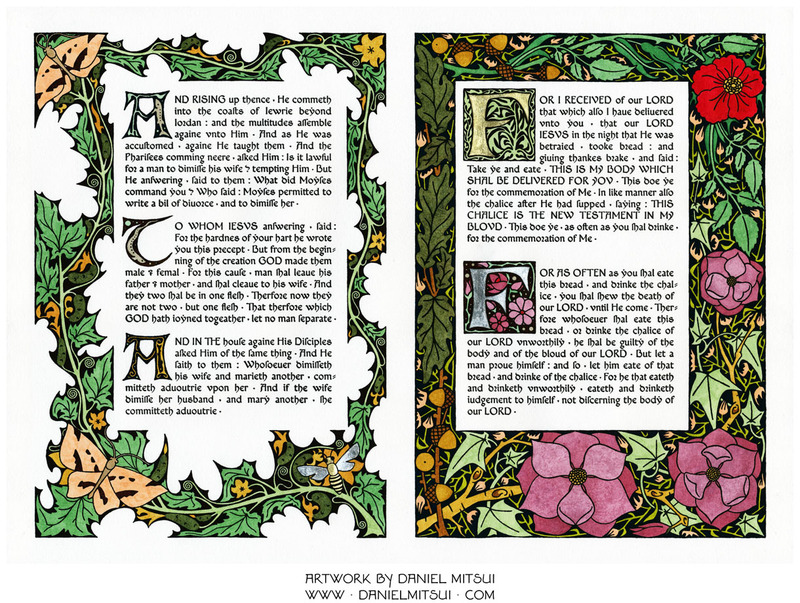 These are truly exquisite pieces of work, and we are all looking forward to many more from this extraordinary artist. Check out his website for a complete portfolio and items for sale. Looking from afar, behold I see the power of God coming, and a cloud covering all the land: * go ye to meet him and say: * Tell us if thou art the one, * who art to rule in the people of Israel. V. All you that are earthborn, and you sons of men: both rich and poor together, go ye out to meet him and say. V. Give ear, O thou that rulest Israel: thou that leadest Joseph like a sheep; tell us if thou art the one. V. Lift up your gates, O ye princes, and be ye lifted up, O eternal gates: and the King of Glory shall enter in, who art to rule in the people of Israel. Glory be unto the Father, and to the Son, and to the Holy Spirit. R. Aspiciens a longe, ecce video Dei potentiam venientem, et nebulam totam terram tegentem: * ite obviam ei, et dicite: * Nuntia nobis, si tu es ipse, * qui regnaturus es in populo Israël. V. Quique terrigenæ, et filii hominum, simul in unum dives et pauper: ite obviam et, et dicite. 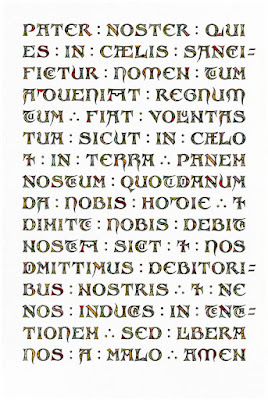 V. Qui regis Israël, intende, qui deducis velut ovem Joseph: nuntia nobis, si tu es ipse. V. Tollite portas, principes, vestras, et elevamini portæ æternales, et introibit Rex gloriæ, qui regnaturus es in populo Israël. 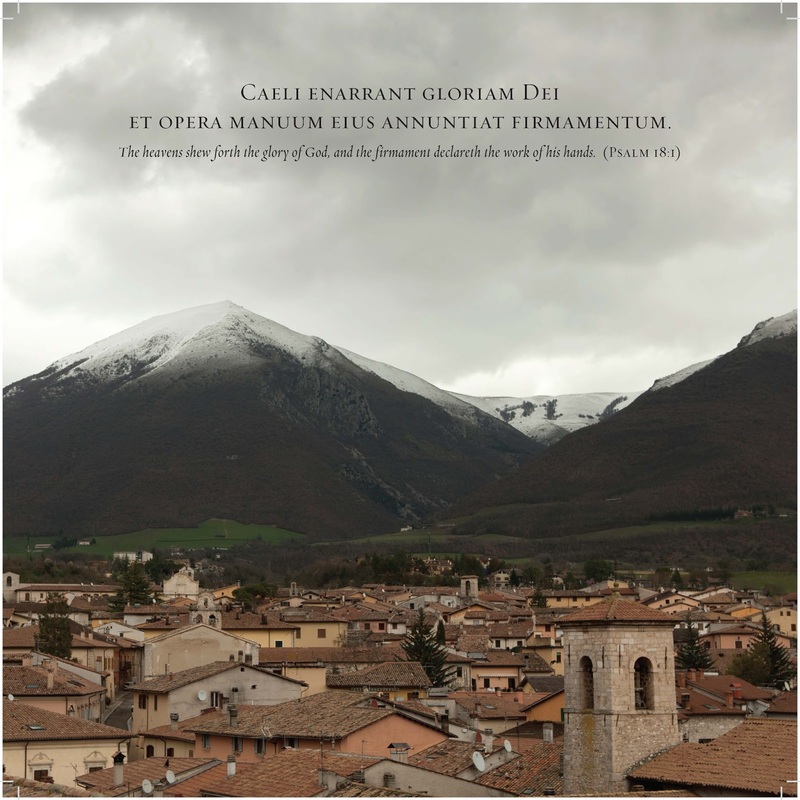 R. Aspiciens a longe, ecce video Dei potentiam venientem, et nebulam totam terram tegentem: ite obviam ei, et dicite: Nuntia nobis, si tu es ipse, qui regnaturus es in populo Israël. 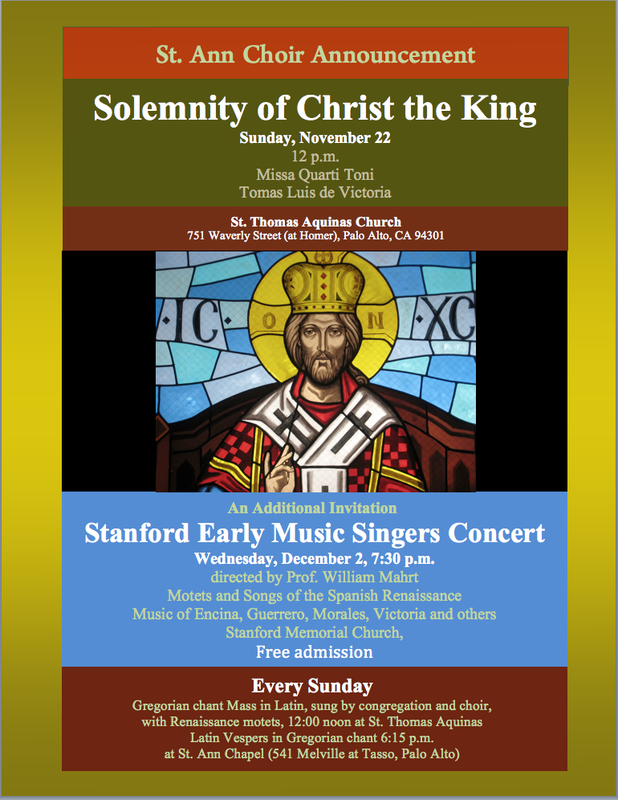 Click here to listen to a beautiful recording of this magnificent text, made several years ago at St Stephen’s in Sacramento, California. 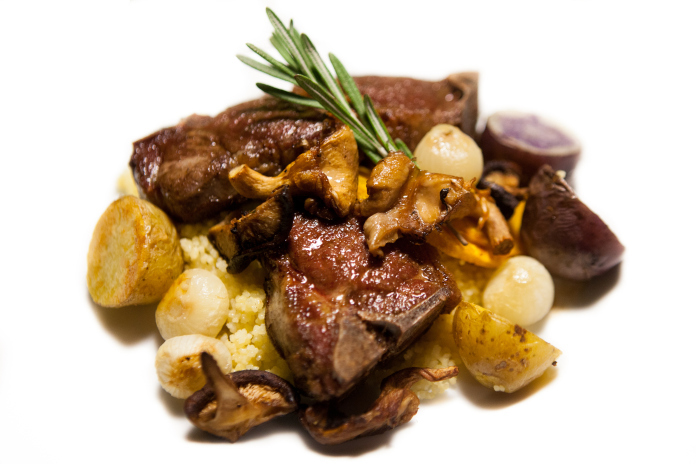 Here’s something to ponder about as you slip into a turkey-induced slumber. Our last quiz was back in January, so as a reminder of the procedure: Please give your answer in the combox, along with any and all details you think pertinent to it. To keep it more interesting, please leave your answer before reading the other comments. We are always pleased to hear humorous answers as well. The photograph does show the item out of context, as I have done before, but I will say that it is part of the decoration of a church’s façade. The Answer : Since the church of the Sagrada Família, of which this is a part, is the second most popular site in Barcelona (after the Picasso Museum...sigh...), many people got the correct answer, or at least part of it. 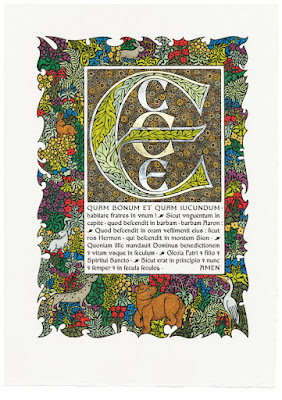 It is indeed a decorative element of the Passion façade, a so-called “magic square;” each of the four horizontal and four vertical lines of four squares adds up to the number 33, Christ’s age at the time of His Passion, as do the two major diagonals, each corner quadrant, the central quadrant, and various other combinations. To be perfectly honest, I rather suspected this quiz would prove to be fairly easy, but went ahead and posted it anyway, knowing that it would bring out some interesting entries in Most Wildly Incorrect Answer and Best Humorous Answer categories. In this, I was not disappointed. The Most Wildly Incorrect Answer award goes to Jackie, even though she gave the correct location. “Dice representation on the Sagrada Familia in Barcelona.” Dice? There are actually soldiers playing dice over Christ’s garment elsewhere on the Passion façade, and they look as much like dice as the sculptor (this is the work of Josep Subirachs, not of Gaudí himself) could make them (which isn’t much.) Honorable Mention to Hoss Gardner for his guess that it is an old Roman Calendar - good try, but although the Roman calendar was a rather messy affair before Caesar’s reform, it wasn’t that messy! Mornac runs away with the Best Humorous Answer, “It's a relief depicting a numeric Rubik’s cube that dissident bishops will be forced to solve in order to be released from purgatory. The numbers correspond to the number of liturgical abuses they allowed in their dioceses. The six sides of the cube represent the last six years of their episcopacy. The object is to display the exact number of abuses in each of those years simultaneously on the six faces of the cube.” Nice work! A reflection on the Second Coming by C.S. Lewis as we enter the season of Advent. 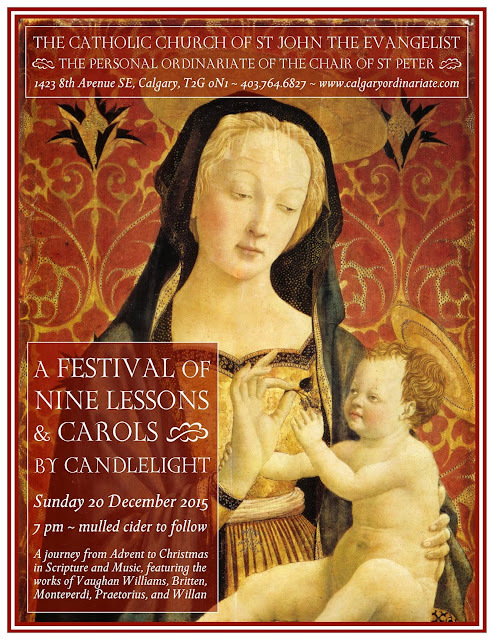 Saint John the Evangelist, Calgary, Canada, a parish of the Personal Ordinariate of the Chair of Saint Peter, will celebrate its annual Festival of Nine Lessons and Carols on Sunday, December 20, 2015, at 7pm. 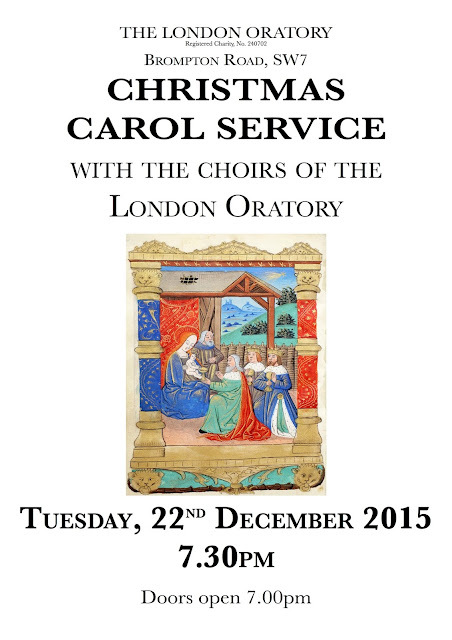 The service, which consists of traditional carols, seasonal pieces of sacred choral music, and nine lessons (readings) from Holy Scripture, was first devised by Eric Milner-White shortly after his appointment as Dean of King’s College, Cambridge in 1918. 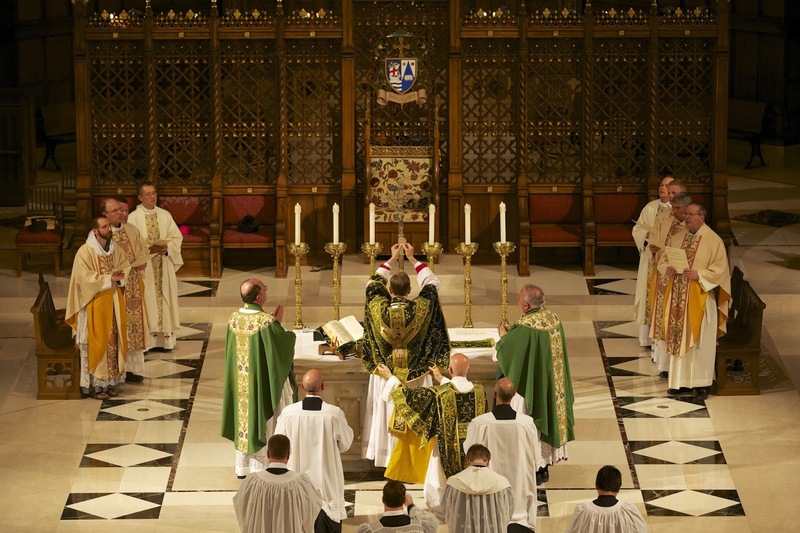 The service is now a firm fixture on the English cathedral calendar, and is a cherished part of the Anglican patrimony brought into the Personal Ordinariates. 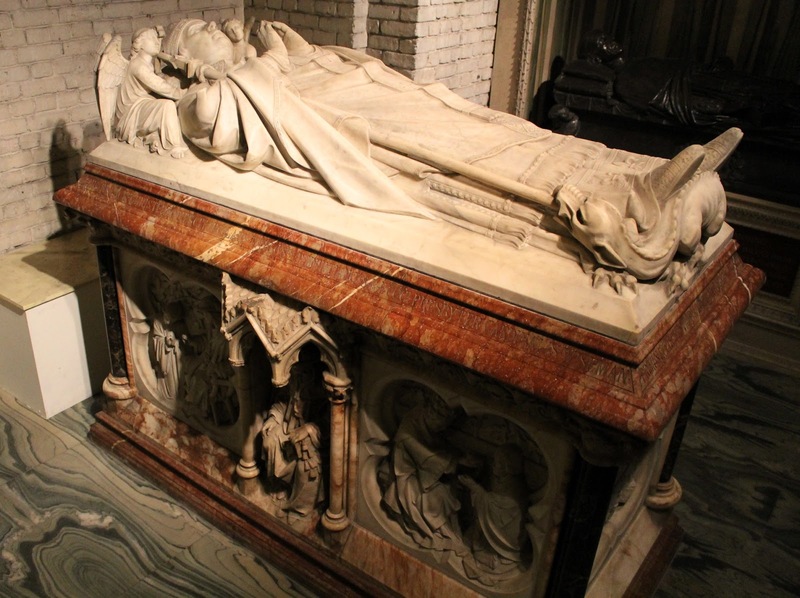 This article about the tomb of Nicholas Cardinal Wiseman, a work of Edward Pugin, was first published in the November 2015 issue of the magazine of Westminster Cathedral Oremus. The author, Mr Roderick O’Donnell, very kindly submitted it to NLM for republication; it is here reproduced by permission of Oremus, and the editor, Mr Dylan Parry, with our thanks. 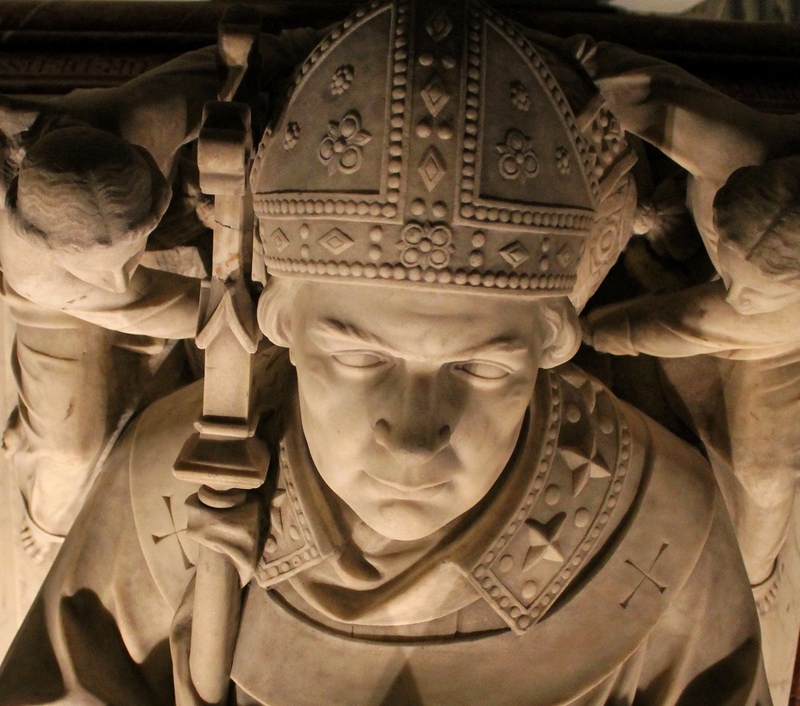 Cardinal Wiseman’s tomb is one of the least known works of art in Westminster Cathedral. It was designed by the architect EW Pugin. Since 1907 it has been housed in the crypt of the cathedral, and is placed directly under the high altar. 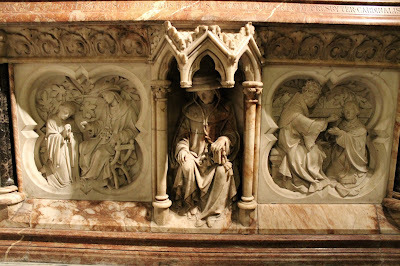 This is a so-called ‘altar tomb’, set on a plinth and supporting a ‘table’ or mensa, with its recumbent effigy, with narrative panels round the sides. It was clearly meant to be free-standing, and its inscription and sculpture are meant to be read. It can be attributed to the sculptor was RL Boulton, a craftsman much employed by EW Pugin in the 1860s. Pugin would have provided the drawings for the figurative and the architectural sculpture, the sculptor and his workshop being the executors of Pugin’s scheme. As such the work not signed. Wiseman’s figure and other relief sculptures are worked in statuary marble. But the moulding with the inscription and the base plinth are in a red-orange marble, probably Cork Red, with black marble colonettes at the angles, perhaps a Kilkenny black. The framing of the sculpted panels, the projecting niches and the deeply-cut frieze and capitals are in alabaster. 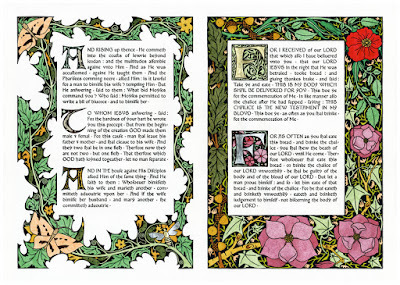 Colour contrasts were therefore intended, although the colouring of the carving, such as would have occurred in the Middle Ages, is not attempted. The slightly over life–size recumbent figure of the archbishop is vested for Mass with a chasuble worn over a dalmatic and both over an alb ‘apparelled’ with fleurs-de-lys. 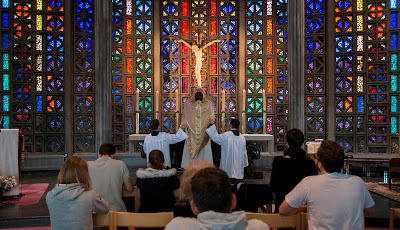 The vestments are strikingly of the full Gothic form championed by Augustus Welby Pugin and already under the ban of those like Manning who wished to re-introduce the so-called Roman chasuble. He is mitred, gloved and slippered, the tip of his metropolitan cross clasped by a dragon at his feet, with angels at his pillowed head. (EW Pugin particularly complimented Boulton on his angels.) Wiseman also wears the pallium. On the short return under a cardinal’s much tasselled hat is Wiseman’s coat of arms, with his motto as archbishop, ‘Omnia pro Christo’ (All things for Christ). The other one has a seated, mitred and coped St Nicholas of Myra, his patron, with the three boys he saved (from boiling) in a vat, with a large classical wreath behind. Both are set within quatrefoils. Narrative panels on either side of seated saints or patrons are found on the long sides. 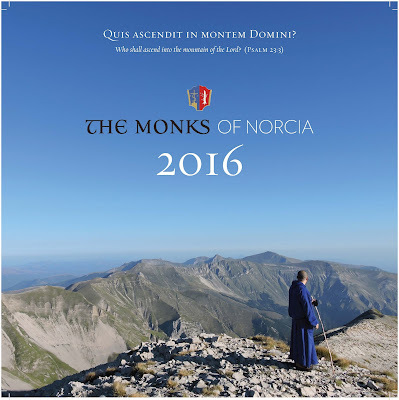 These have a particular point to make, both about Wiseman and about the role of a metropolitan bishop and its relationship to the Holy See. A late source describes them as scenes from lives of the two saints, but the iconography should perhaps be read with a double meaning, with the life of the saint prefiguring or anticipating that of Wiseman. Chronologically they begin with young cleric in academic dress or religious habit kneeling before a seated and ceremonially hatted cardinal, or perhaps a pope on an X-framed chair; or it might be the student Wiseman. 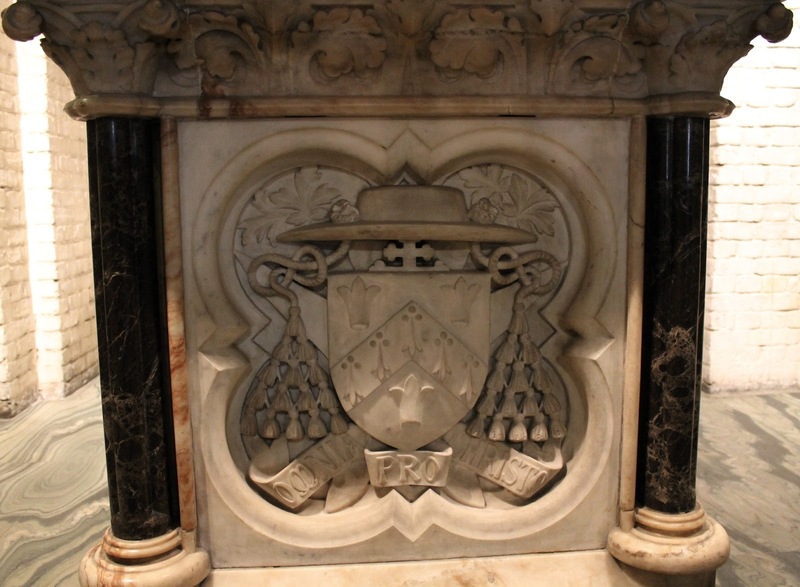 Then, under a projecting niche is seated the Cardinal in alabaster, with the same features of the bishop or pope in the previous panel. It may be St Edmund of Canterbury, to whom Wiseman had a devotion; in 1853 he procured some of his relics from his burial place at Pontigny in France. 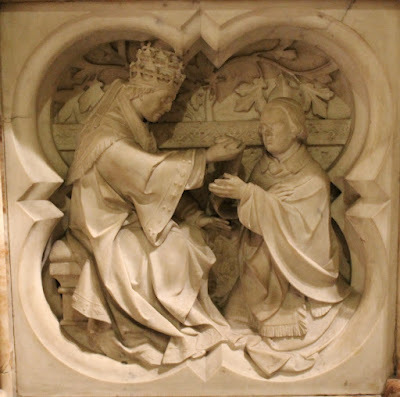 The next quatrefoil has a kneeling and vested bishop, now evidently a portrait of Wiseman, being receiving a pallium from the pope, as Wiseman did from Pope Pius IX did on 3 October 1850. The answering long side has the seated bishop as Metropolitan presiding over the bishops seated around, all vested in copes and mitres; or it might be Wiseman presiding at the Synod of Oscott (1852). The niched panel shows the enthroned St Thomas-à-Becket, Archbishop of Canterbury, vested for Mass, grasping the sword of his martyrdom, and wearing the so called ‘Becket mitre’ from the Cathedral Treasury, now on loan to the Victoria & Albert Museum.The next quatrefoil has the death of a bishop, clearly not Becket’s death, but Wiseman’s. He lies on a bed with book of the Gospels on his knees. He is dressed with pectoral cross and chain fully looped over his shoulders, attended by his canons and by an acolyte holding his metropolitan cross. 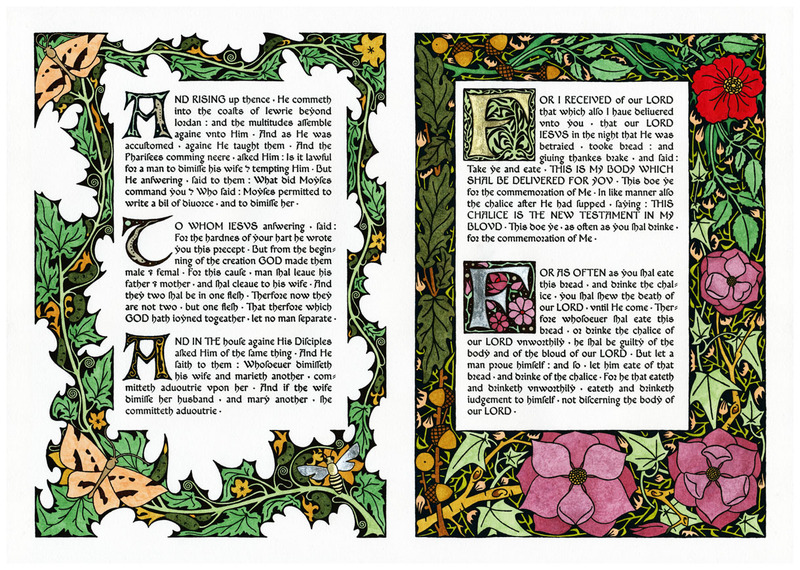 The details follow the record of his death made by Canon Morris, his secretary. Dr Roderick O’Donnell is an Architectural Historian and a member of Westminster Cathedral’s Art and Architecture Committee. The following images were not included in the original article; they are here reproduced from Oremus’ flickr account, again, with their kind permission and our gratitude. 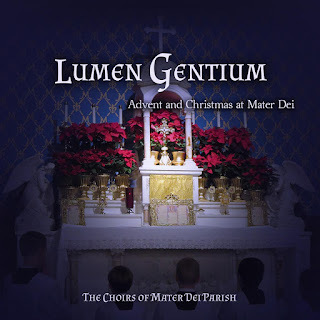 Lumen Gentium is a new CD by the Choir at Mater Dei FSSP Parish in Irving, Texas. The recording of music for Advent and Christmas is sung by the volunteer amateur singers of the choir, conducted by Kimberly Walters. 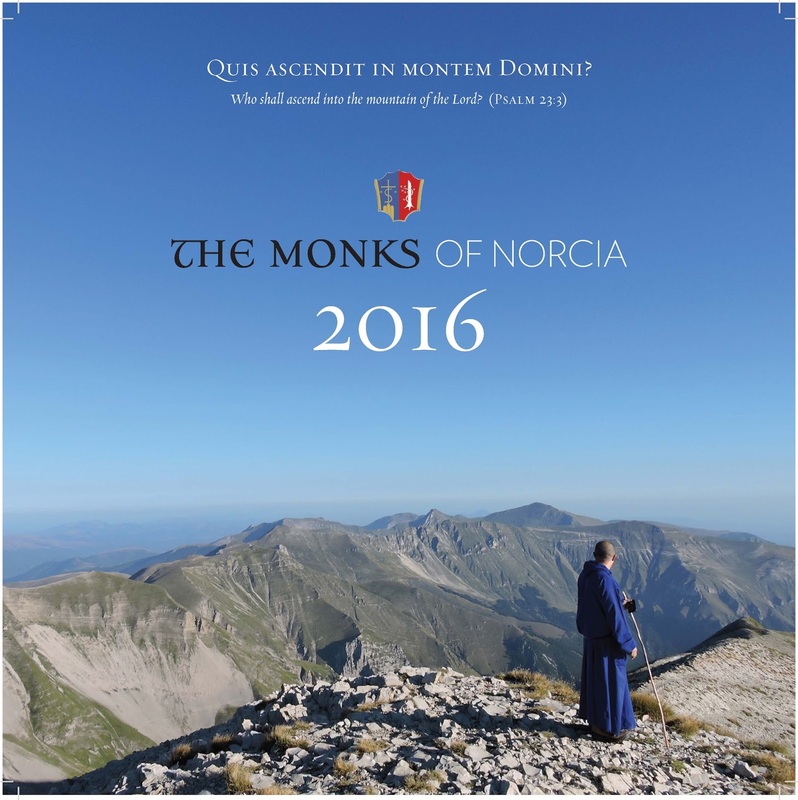 Included in the recording is Victoria's Missa O Magnum mysterium along with some Chant Propers and motets by Guerrero, Scarlatti and Nanino among others. Their last recording was featured on NLM here. 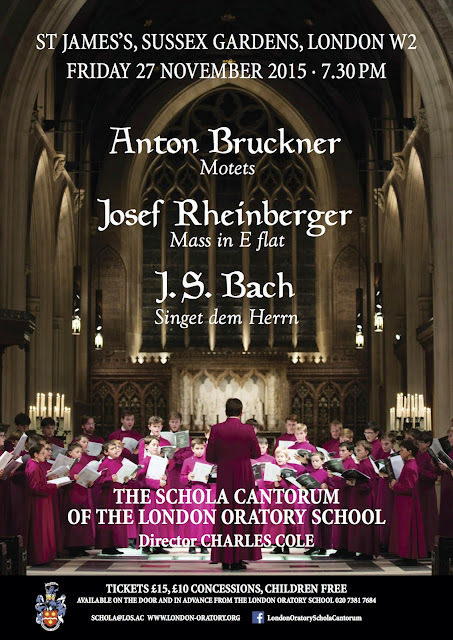 The recording is available now from CD Baby as a download or CD and there is a 1-cent shipping promotion available from Nov 30 - Dec 4. Praesens dies expendatur in ejus praeconium, cujus virtus dilatatur in ore laudantium, si gestorum teneatur finis et initium. 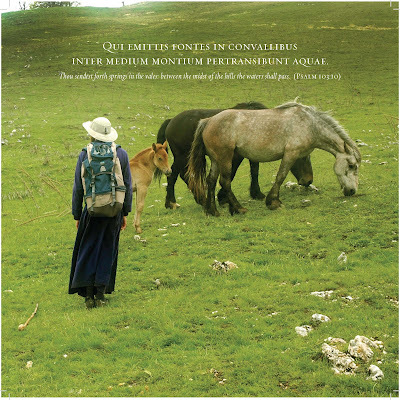 Imminente passione Virgo haec interserit: Assequatur, Jesu bone, quod a te petierit suo quisque in agone memor mei fuerit. In hoc caput amputatur, fluit lac pro sanguine: Angelorum sublevatur corpus multitudine, et Sinai collocatur in supremo culmine. 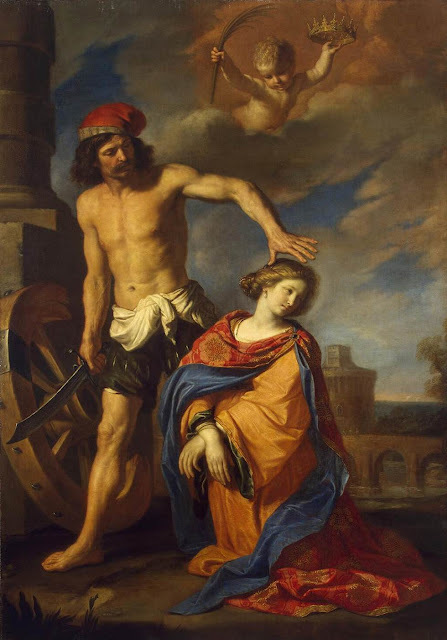 The Martyrdom of St Catherine of Alexandria, by Guercino (Francesco Barbieri), 1653; now in the Hermitage Museum in St Petersburg. 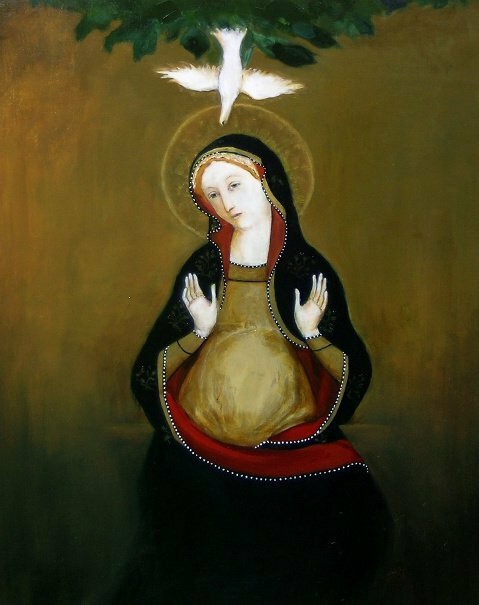 Let this day be spent in proclaiming her whose virtue is enlarged by those who praise her, if the sum of her deeds be kept in mind. At this, her head was cut off, milk floweth instead of blood; her body was taken by a multitude of Angels, and placed at the height of Sinai. Glory and honor in everyplace to God most high, and with Him to the Son, and the glorious Paraclete, to Whom are praise and might for eternal ages. Amen. A friend in New Hampshire named Tom contacted me to tell me that he and another are establishing a Holy League in response to this call from Cardinal Burke. 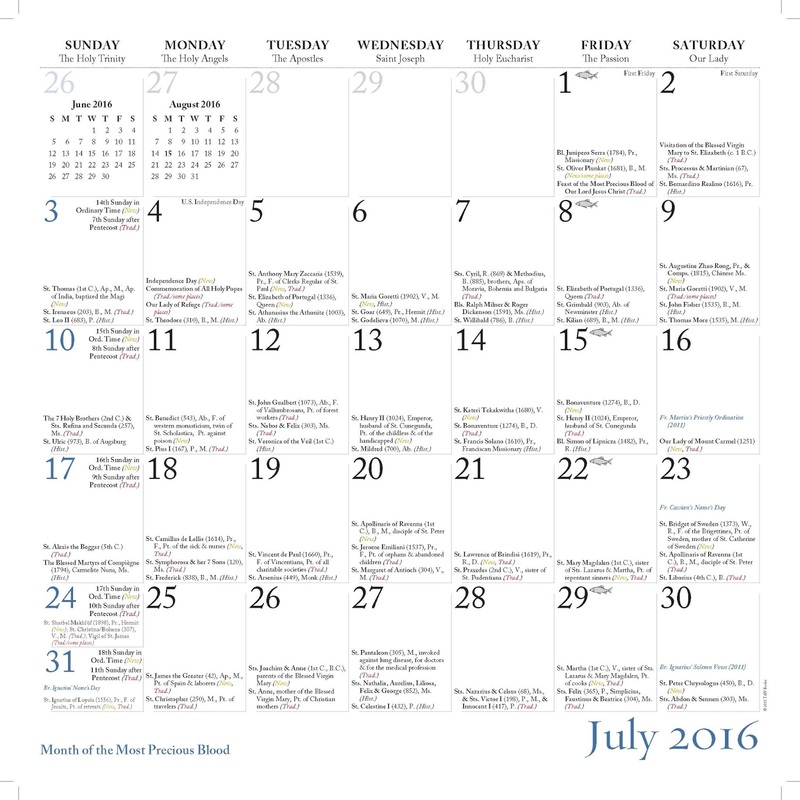 This is intended to create a network of parish based men’s groups that meet monthly in a structured Holy Hour. 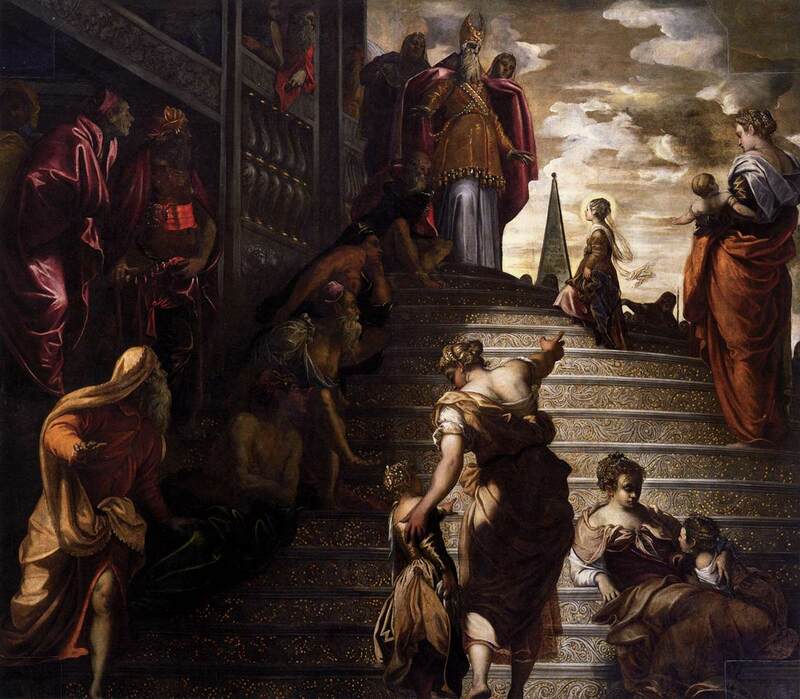 The Holy League was first formed as part of the call to holiness and fortitude that occurred when Europe was under threat from Islamic forces and prior to the battle of Lepanto in 1571. The aim is to reestablish this in every Catholic parish. 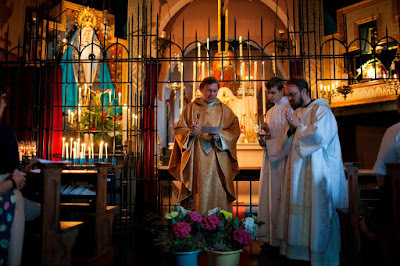 Provides a Holy Hour format which incorporates Eucharistic Adoration, prayer, short spiritual reflections, the availability of the Sacrament of Confession, Benediction and fraternity. Encourages consecration to the Most Sacred Heart of Jesus, the Immaculate Heart of Mary, and the Purest Heart of Joseph. Promotes the Precepts and Sacraments of the Church, especially through devotion to the Most Blessed Sacrament and the praying of the Most Holy Rosary. Creates a unified front, made up of members of the Church Militant, for spiritual combat. In addition to this, Tom told me that they intend to sing Compline during this hour as well. You can read more about it here and below see a short description of it by the Cardinal. 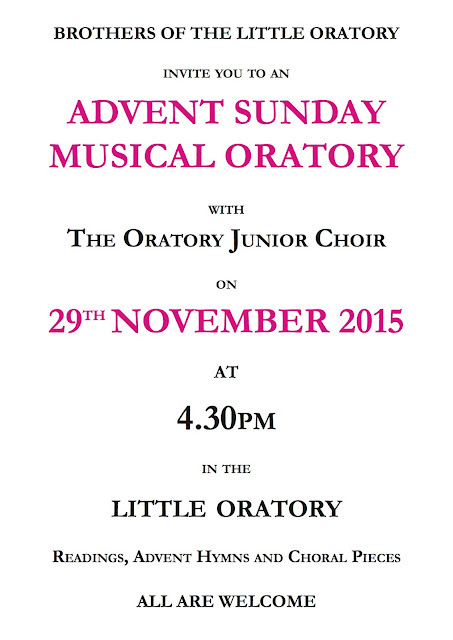 The Advent Musical Oratory is always held on the first Sunday of Advent at the Little Oratory in London and will take place this Sunday at 4.30pm. 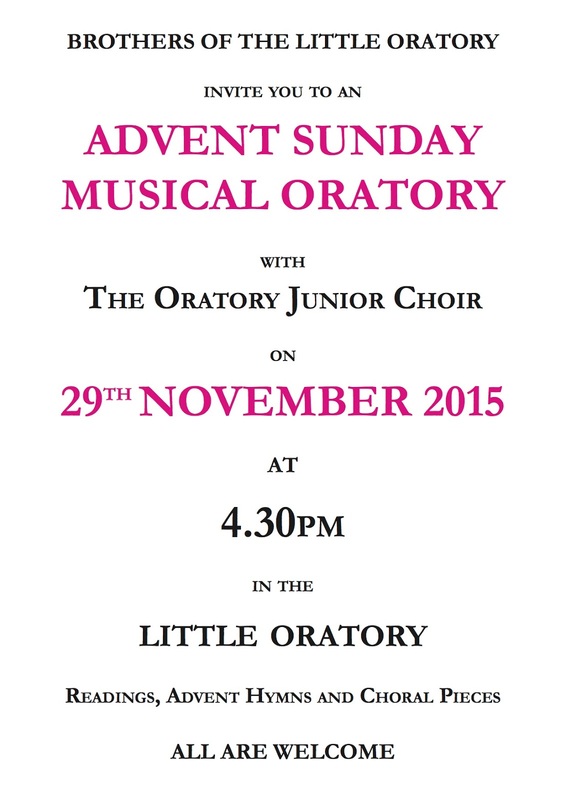 It is a service of Readings, Advent Hymns and Choral Music sung by the London Oratory Junior Choir, with medieval bells played by Dr Mary Remnant. 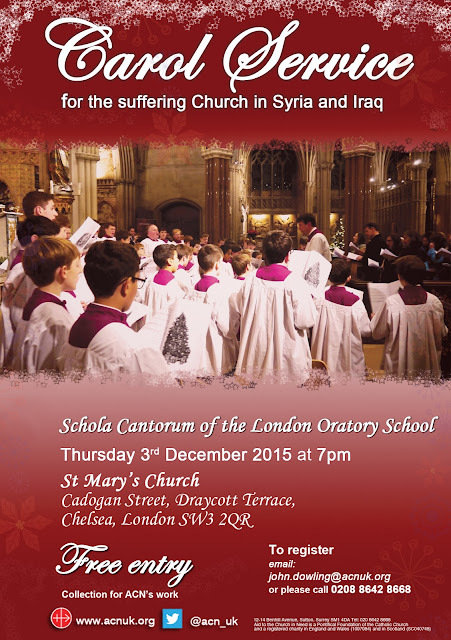 The London Oratory Carol Service takes place on Tuesday 22 December at 7.30pm featuring both the Junior and Senior Choirs of the Oratory. Doors open at 7pm and admission is free. The Schola Cantorum of the London Oratory School will be giving a concert this Friday 27 November of music by Rheinberger, Bruckner and J.S. 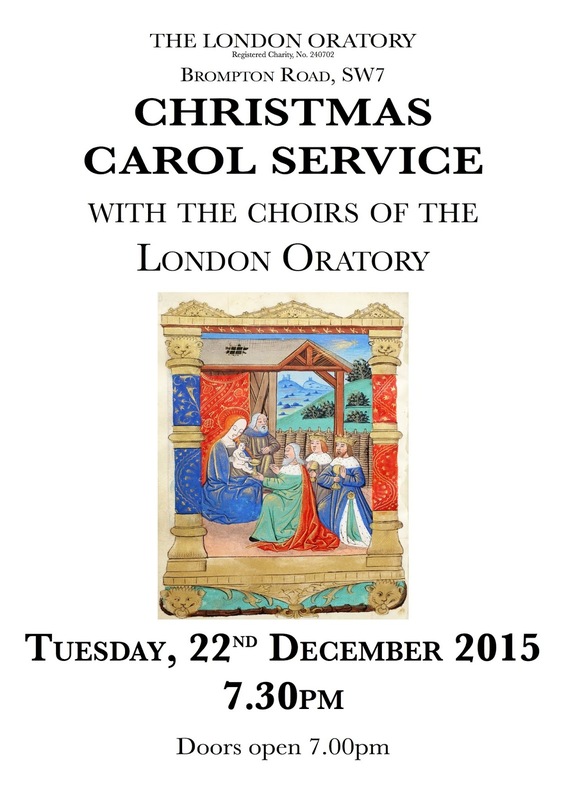 Bach, and will also be singing a Carol Service for Aid to the Church in Need on 3 December at St Mary’s Cadogan Street, London. See the posters below for details. 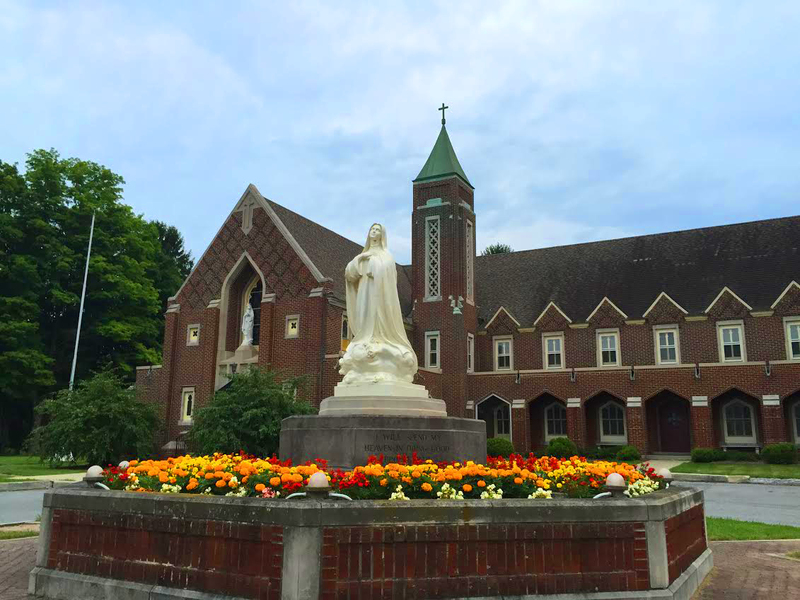 Here is the fourth in the series called The Elements of the Catholic Mass, produced by the Liturgical Institute at Mundelein and presented by its director, Fr Douglas Martis. This one is about the church building. As Fr Martis describes, the Catholic Church is a sacramental Church, using the word sacramental as an adjective here, not as a noun. 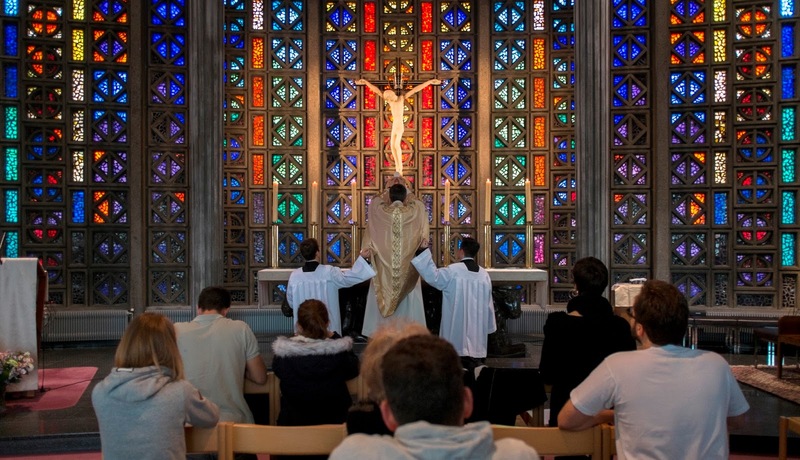 Invisible and deeper realities are revealed through perceptible signs, and the church building itself, not just what is contained within it, has a sacramental role. 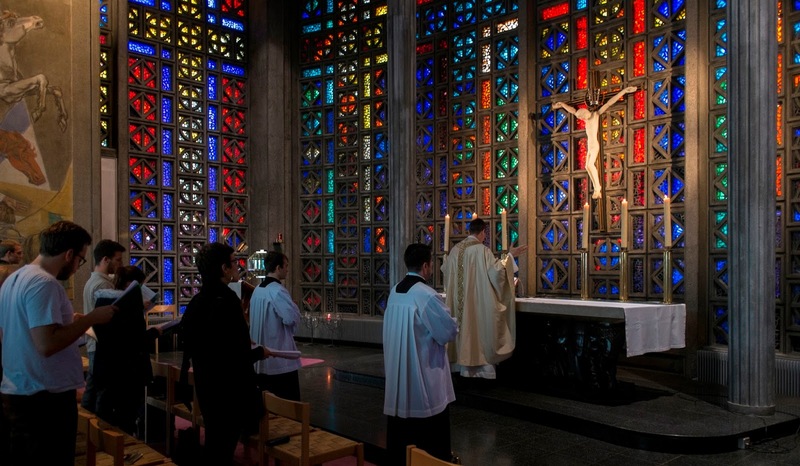 This is an echo of themes explored in greater depth by Denis McNamara, also of the Liturgical Institute, in his videos on church architecture. You can find the previous two and the accompanying study guides for each video at: elementsofthecatholicmass.com. 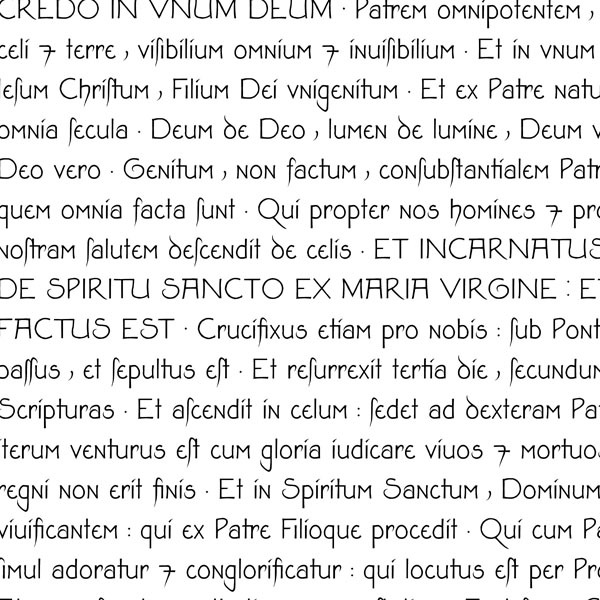 We are very pleased to share with our readers news of the publication of an new electronic database of liturgical books, USUARIUM. I have already had occasion to peruse the database, and examine some of its contents; it is an absolutely invaluable resource, providing access to many rare texts which would otherwise be very difficult to get a hold of. I would also particular call attention to the fact that Prof. Miklós Földváry and his collaborators have made the fruits of their extensive research available for free. 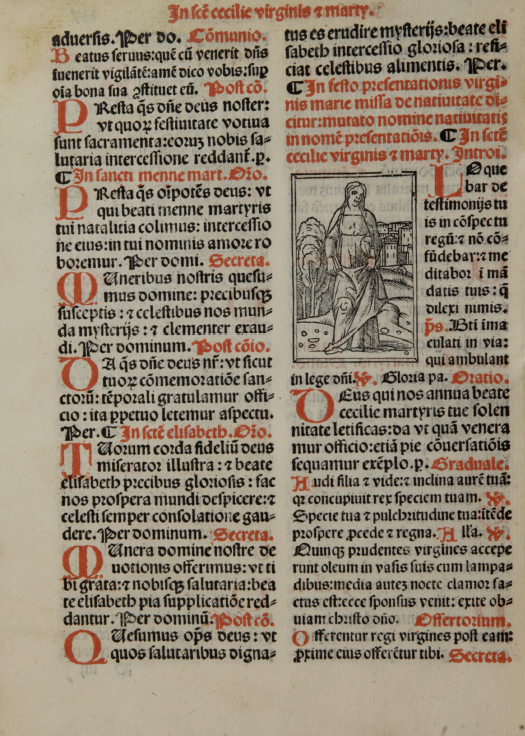 Anyone who is interested in medieval liturgy will want to make sure to bookmark this page! USUARIUM is probably the largest and most well-organised digital collection and database for the research of western liturgical sources from the Middle Ages and the early modern period, initiated, designed, and edited by Miklós István Földváry and his Research Group of Liturgical History (ELTE University of Budapest, Hungary). Its principles are detailed on the frontpage. 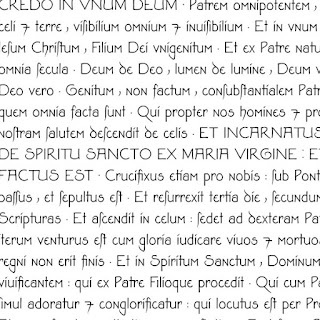 At its present stage, USUARIUM consists of a catalogue of more than 800 books that can be filtered according to liturgical uses and downloaded by registered users (no payment required), an index of every kind of liturgical ceremonies that has ever been performed, cross referencing the various types of sources, and an inventory of liturgical texts which lead to the single occurrences in each source. 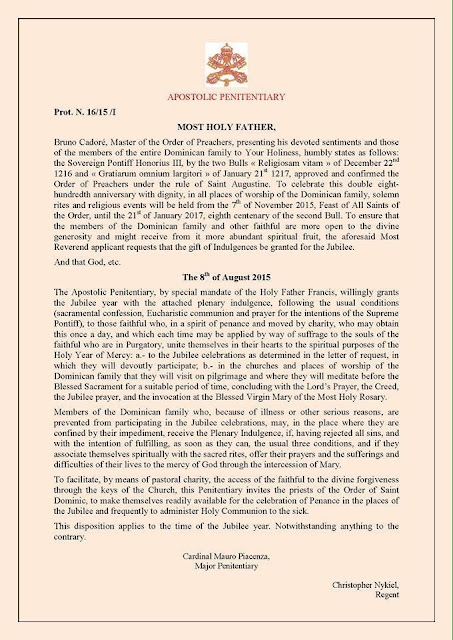 Both the ceremonies and the texts have already been uploaded from about 200 Missals of documented and central origins, mostly printed. 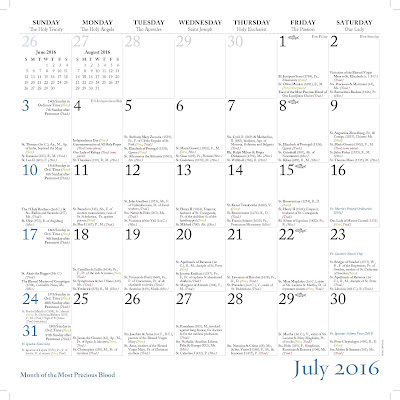 Indices of Rituals and Pontificals are coming soon and databases for Calendars and Breviaries are also forthcoming. Fr Zuhlsdorf likes to use the phrase “brick by brick” to describe the slow and often painstaking process of building back up the Church’s liturgical life after decades of widespread neglect and abuse. So here is another example of a few more bricks being laid for the restoration of the Sacred Liturgy, sent in by a group of students at the University of Fribourg in Switzerland. Let us offer a small prayer or two that their initiative continue and succeed. “Since last September, with a small bunch of students, we organize every Wednesday a Mass in the Ordinary Form of the Roman Rite at the University of Fribourg, Switzerland. 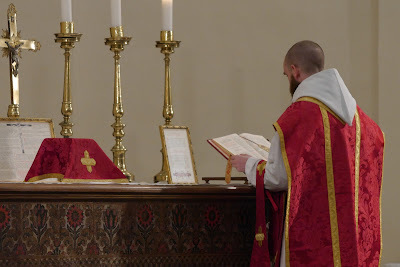 The main particularities are the offering of the Sacrifice in Latin, with the Gregorian chant, ad orientem, and with the traditional way to receive the Holy Eucharist. The chaplain of the University, since his arrival in September, is a supporter of the initiative. 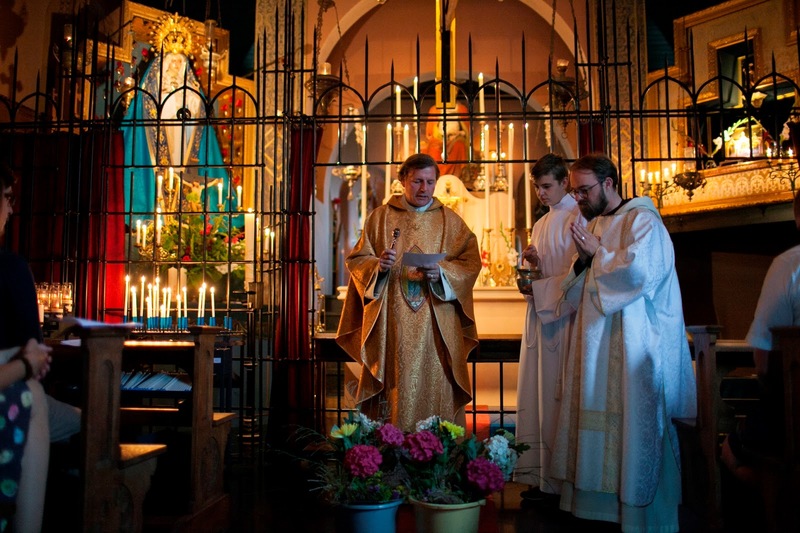 These pictures were taken this week on the occasion of St Martin’s feast, celebrated by our chaplain. 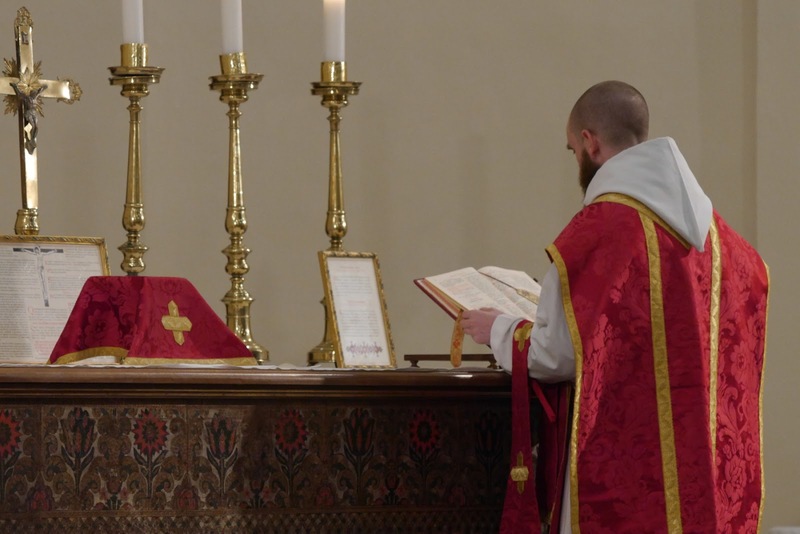 Here is the sixth in the series of short videos by Denis McNamara, Professor on the faculty of the Liturgical Institute, Mundelein; his book is Catholic Church Architecture and the Spirit of the Liturgy. 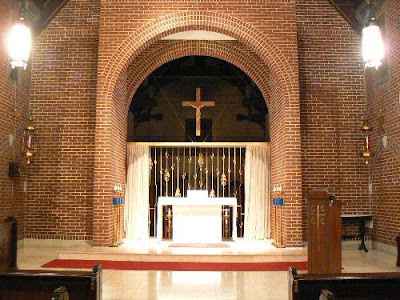 I found this one particularly fascinating; he describes here how columns are a vital part of the design of the church building, which is meant to be the sacramental image of the Church, the mystical body of Christ. Historically, the building was so clearly identified as an image of the Church that it came to be called a “church” itself. The columns represent important people within the Church who, metaphorically, support it, chief among them the Twelve Apostles. Before the Christian era, in Jewish architecture the columns represented the 12 tribes of Israel. Even within the classical, pre-Christian tradition, columns were identified with people, and different designs were ascribed to men, women and young girls. 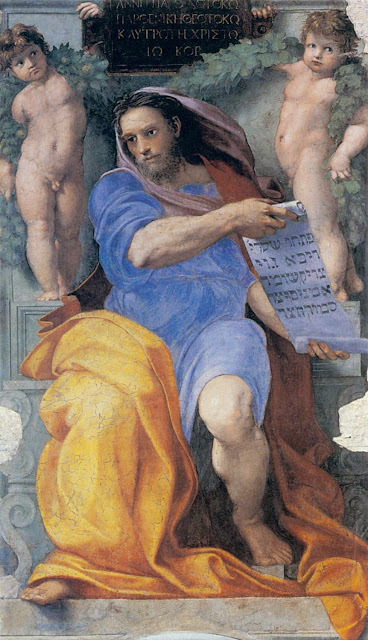 Building on both the Jewish and classical traditions that preceded them, we can see why it made great sense for the early Christians to incorporate the same symbolism into the design of their churches. Because they are symbolic images of people, columns have particular aspects of design, again, incorporated into the tradition, and should not be just straight vertical lines that are pure structural support, as a modern architect might wish to do. This does not mean that every column should per force correspond precisely to the Doric, Corinthian and Ionic orders of classical architecture, but it does indicate the importance of columns of as symbolic images of people, and as decoration that visibly performs a structural purpose. 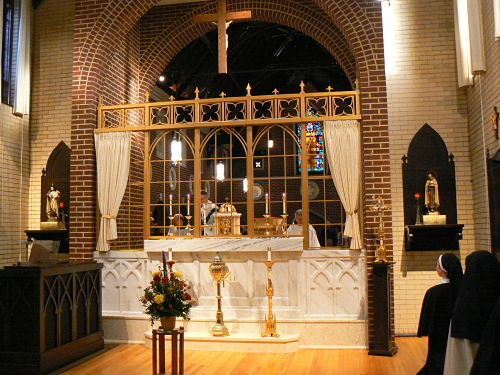 The question one might have after considering this is: even if we acknowledge that properly formed columns are right for a church building, do we need to have them in secular buildings as well, such as libraries, town halls, houses, theaters, and so on? 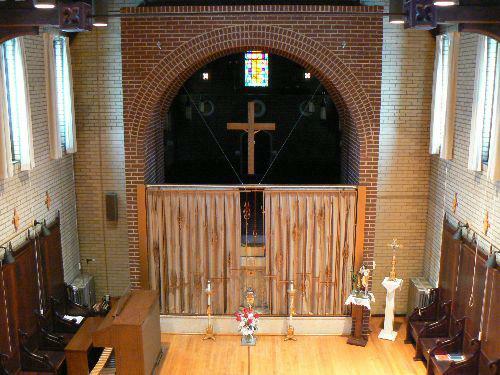 I would say that the church should be the symbolic heart of the community. Therefore, just as all human activity is formed by and leads us to the worship of God, so the design of all buildings, whatever their purpose, should be derived from and point to what should be the focal point within a town plan, the church, and so we ought to see columns in secular buildings too. All of this should be modified so that each building is appropriate to its particular purpose: a government building would have a design that corresponds more directly to that of a church, I would suggest, than the design of a cow shed or a public convenience. 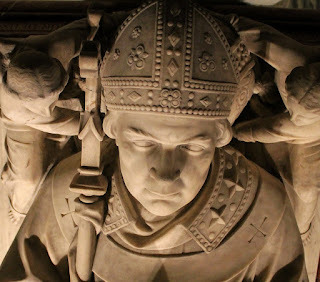 I am currently in Barcelona, and chose today to visit the cathedral, jointly dedicated to the Holy Cross and St Eulalia, a local martyr of the persecution of Diocletian. I did not know ahead of time that today is the anniversary of its dedication, the same day as the dedication of the Roman basilicas of St Peter in the Vatican and St Paul Outside-the-Walls, and also as that of the cathedral of Siena. 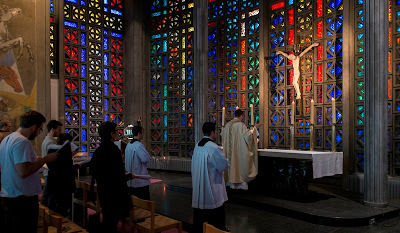 The church seems to have a pretty strong liturgical life going, at least in terms of the number of Masses being said (in both Spanish and Catalan), a good number of regular devotions, and the availability of Confession. The building is a very interesting mix of the Gothic, from its original construction and decoration from the 13th to 15th centuries, with a number of Baroque additions; here are just a few photos of a complex far too rich in art and history to fully capture in a photoessay like this. The crypt under the high altar, where the relics of St Eulalia repose. The vaulting of the apse, seen from the stairs that lead down to the crypt. The tombs of Count Ramon Berenguer I (left), founder of the Romanesque cathedral which was later replaced by the current Gothic building, and his third wife, Almodis de la Marche (right). The upper part of the liturgical choir, which is badly lit and hard to photograph. 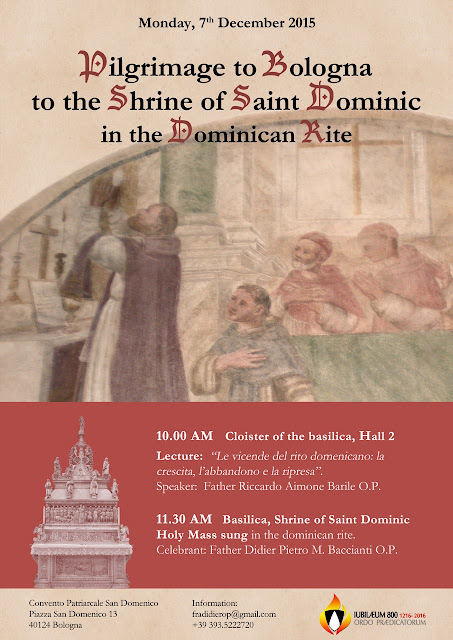 Here is the third in the series called The Elements of the Catholic Mass, produced by the Liturgical Institute at Mundelein and presented by its director, Fr Douglas Martis. This one is entitled “the Role of the Parishioner,” and discusses how in this life we are pilgrims who have their sights set on the heavenly liturgy.